Luna based on Korean client. -Chinese char have 4XMASTERY(you can make for example : bicheon cold fire lighting all lvl max). -Of course,mobs drop ITEM MALL ITEMS (for example: premium,dress,scrools,astrals,immortalls). 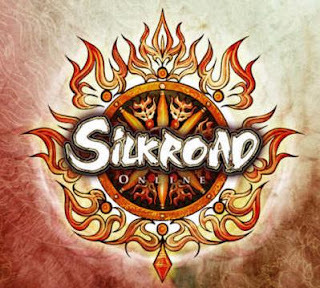 This server have a official PAGE MALL and lots of other FUNCTIONS,like BUYING TITLE (for example you can buy Count Title) VOTE TIME SILKS:for every hours you spend on server you will get 1 silk).BLOCK CHARACTER (if you character is block some where on the map you can teleport him to constantinopol). When you create a char you will get a lot of scrools ,new dress,grab pet,devil,2 MIL SP and others. Lots of new Hidden uniques spawn spots. P.S:FREE SILKS JUST PM DAVID (SKYPE) AND HE WILL ADD YOU SILKS!!! Support Lv130,125NewSkills!Chinese 4xMastery, New pets,Truly 14D ★ items. All New map Music,new Lv130,140Mobs.New char lots of Gifts,scrolls..New avatar! New Job system as official,Auto judge charactor items! Support Gold to Silks,Silks to Gold. All items by drop,as well as Page-mall items. All dropped page-mall items can be sold a lot of Gold which can exchange Lv1-12 Titles. More globals means u are active,u might got unique rewards by GM. ★All mobs(Uniques) got chances to drop 14D sun items as well as premium avatars etc. With the most bewidering Unique★Page-mall as official. Low Rate long memory server: 60xExp,Party 75xExp,DropRate 35x,Gold 15x. 1000xPots/Elixirs/Stones One slot.when Pick up auto add. Alchemy +1-8 almost 100%，+9Hard... +10-11 easy with Powder. All+13 common items can exchange Seal one,seal +15 one can change next Grade. 4/10000 chances to get 13D Seal of Sun.None can get it easily. Suggest getting it by Drop,chances more. ★Job 1st player get 2000silks per month. Quests' rewards,Forts tax 3x,Forts war 3xtimes per week. 2000silks rewards for each Guild leader of Jangan Forts . About others,more will be add, await your suggestions. At Bottom right cornor got Page-Functions! When doing these functions,Login off your char is a Must! Gold=what exactly gold number in your inventory,just for confirm! hello admin pls can say me why close the server? server off or on? i no can play open game and dc automatic why?